Constant knowledge development this is what a great engineer has to keep in mind while working for EDC. In our center highly qualified staff is involved in career planning and training management to match people and business needs in the best of possible ways. EDC offers a broad variety of trainings and devolvement programs that include both in house and abroad assignments. Being a part of the biggest company in the world gives you a rare opportunity to participate in the best programs from both engineering and management areas. EEDP – Edison Engineering Development Program is named after one of GE founders, Thomas Edison. EEDP is an early career 2-year program that combines formal classes and application of theoretical knowledge in practical cases. EEDP is created for young engineers to reinforce technical fundamentals and develop problem-solving skills. 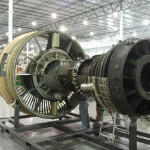 That knowledge can be obtained during projects performed in various areas of jet engine technology like: rotating parts, airfoils, combustion, and reliability. EEDP students have the chance to improve effective communication, and develop technical leadership and project management skills by participating in corporate leadership courses. To improve engineering knowledge EDC offers Advanced Course in Engineering (ACE) that is based on knowledge gathered by GE over many years. ACE builds on what you already know to develop technical thinking by reinforcing solid technical fundamentals, exercising problem-solving skills, driving effective communication and strengthening your ability to evaluate the work of others. 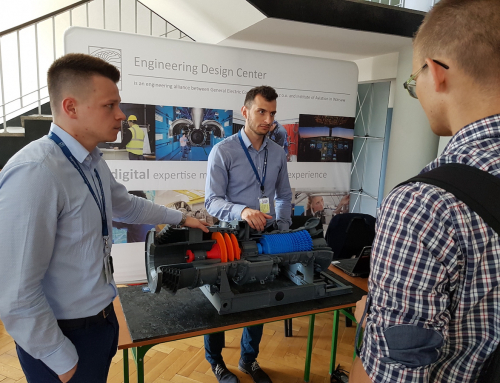 As an addition to that, EDC offers Mechanical Design Fundamentals (MDF), an intensive 15-week training that includes all design and reliability aspects of a jet engine, system knowledge, as well as lectures about materials used for different designs. Each participant also takes part in a project working in the shop to create a small piece based on the drawing. The aim of this is to show real time problems that our mfg. come across and to give hands on knowledge.